Communication is the exchange of information. Sometimes people just talk in a monolog. They go on and on and do not listen to anyone else. 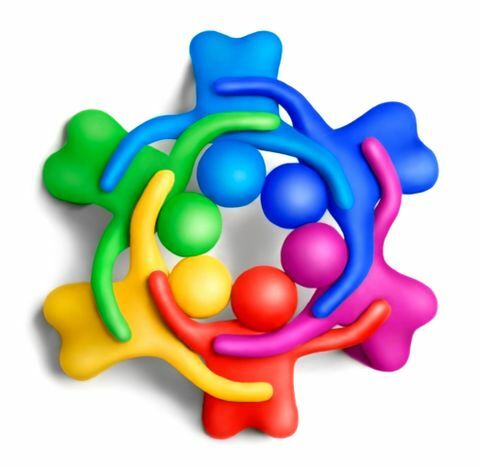 When more than one person is involved in communicative interaction, we call it conversation. Multi-party communication: conversation. Semantics has a lot to say about this. 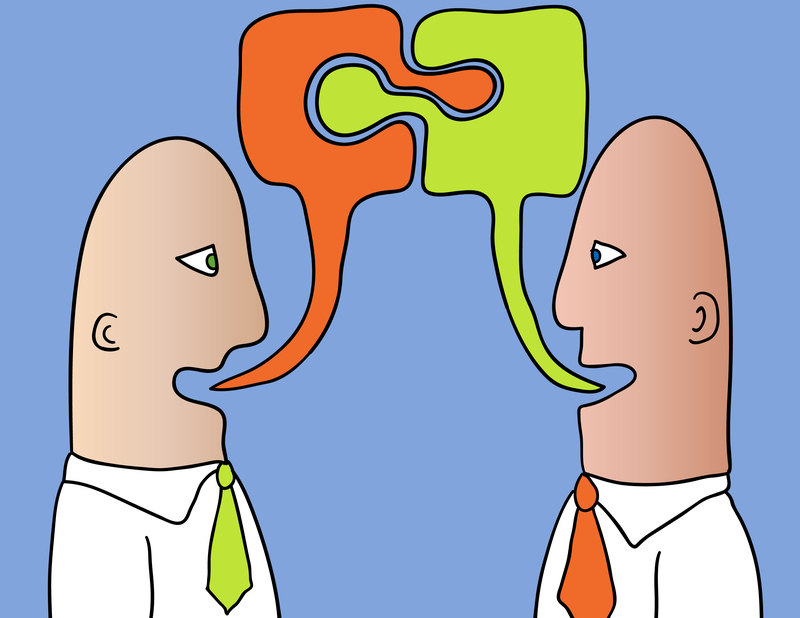 Conversation is defined as a linguistic interaction between two or more parties. Conversations are highly-contextualized, which means they take place in specific contexts or situations. 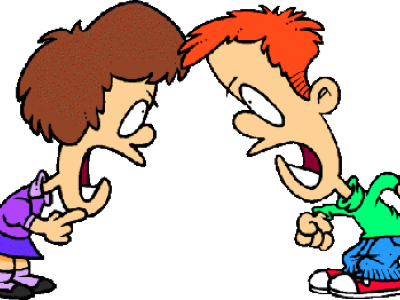 Conversations are highly contextualized; they are tuned in to the other people in the conversation and the situation in which it takes place. We say that conversation is goal-directed. 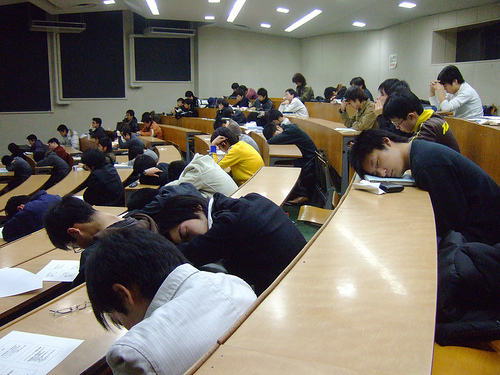 The participants have some communicative intention. They may be trying to solve some problem together. 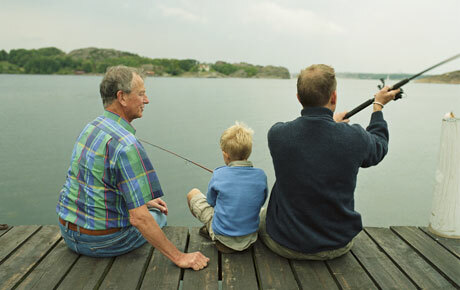 Conversations are also goal-directed; the participants are trying to achieve certain communicative intentions. These intentions may simply be giving and receiving information but could be just about anything. Participants in conversation may be making agreements, talking about feelings, trying to solve some problem together, and so on. We also expect conversations to be cooperative. Conversation is also cooperative. 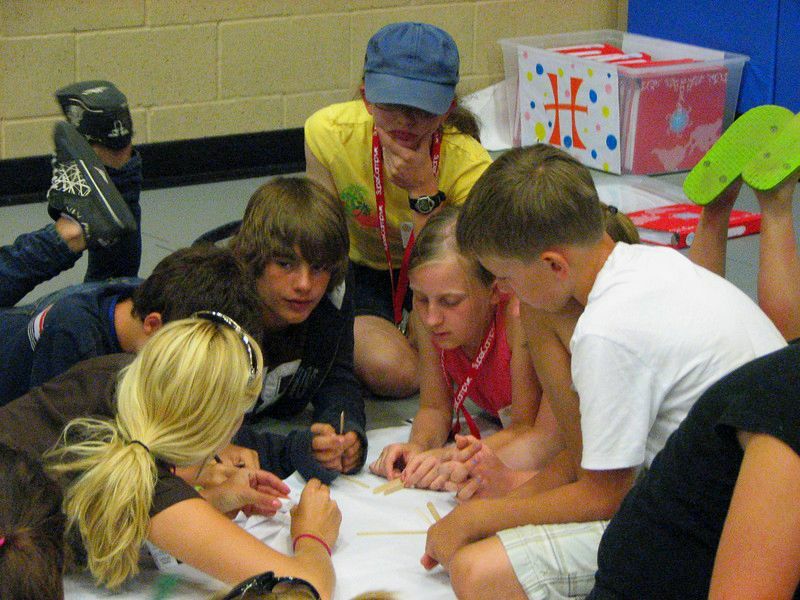 The participants assume that their contributions serve a purpose and are generally well-conducted. Deixis is one of the ways that speakers in a conversation relate their contributions to the context: it is the situation’s space and time reference. Imagine you find a note on the street that says “We can do that if you meet me there after this.” You have no idea about the action, person, place, or time referred to. However, in normal conversations, you do know. 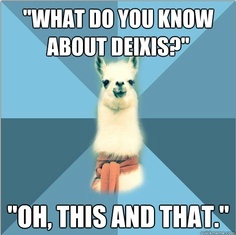 We use deixis in conversations all the time, without even thinking about it. There are four main kinds of deixis elements: Time; Place; Person; Discourse. 1. We can do that if you meet me there after this. We, you, and me are Person Deixis Elements. That and this are Discourse Deixis Elements. They refer to some activity that is clear from the context. There is a Place Deixis Element. After is a Time Deixis Element. Where is the tree? Oh, yes. It’s behind the rabbit. 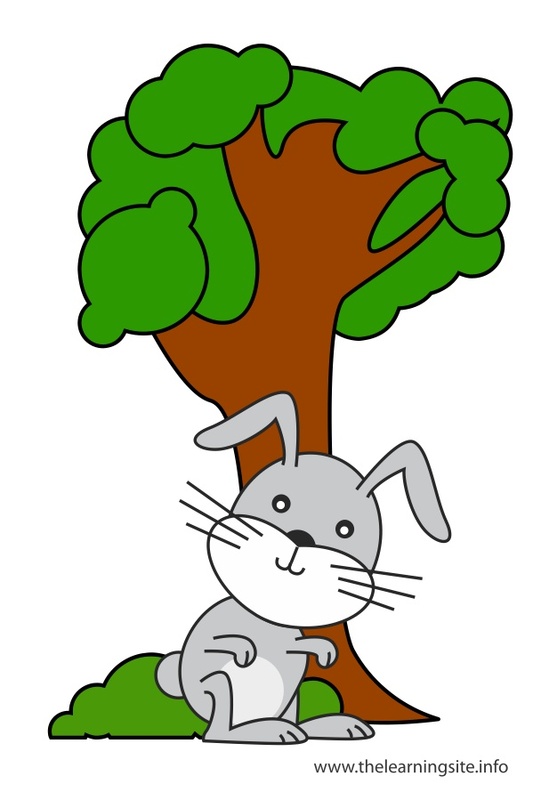 Here we take the rabbit as the primary deictic reference. It all depends on whose point of view we are dealing with. When people talk about the positions of things, the point of view of the speaker is important. The participants in a conversation take turns so it can be confusing. Participants in a conversation take turns speaking. 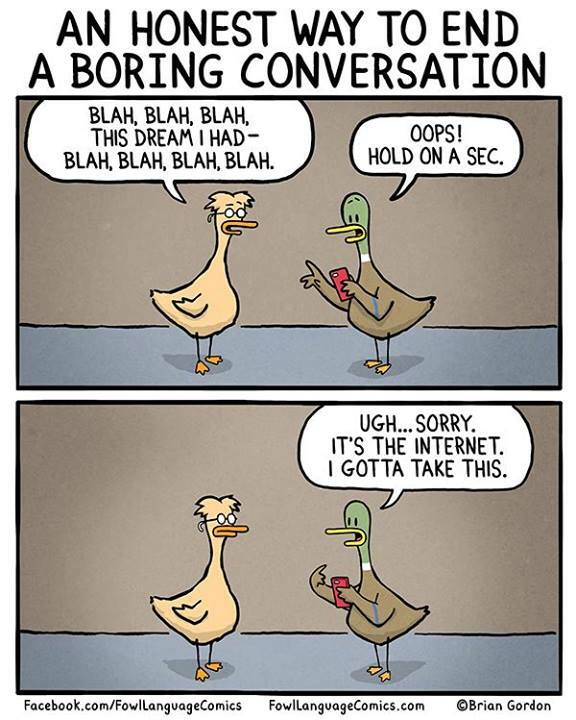 Otherwise it’s not really a conversation! 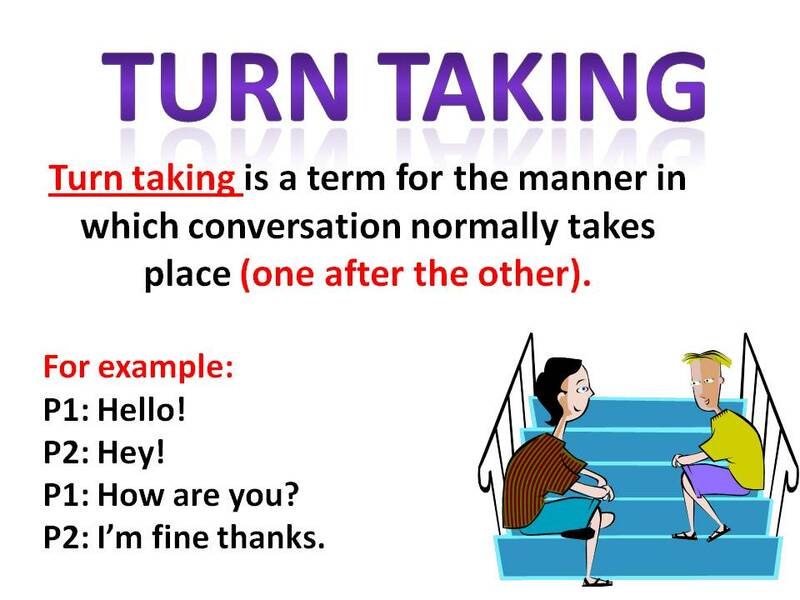 Conversations normally follow a pattern of turn taking. 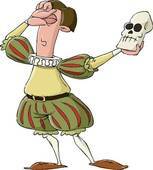 Of course, it is possible for people to talk for a very long time before giving other people a chance! Can you work out the rules governing cooperative turn taking? The famous philosopher Herbert Paul Grice (1913-1988) argued that people make sure that their contributions are governed by a spirit of cooperation. 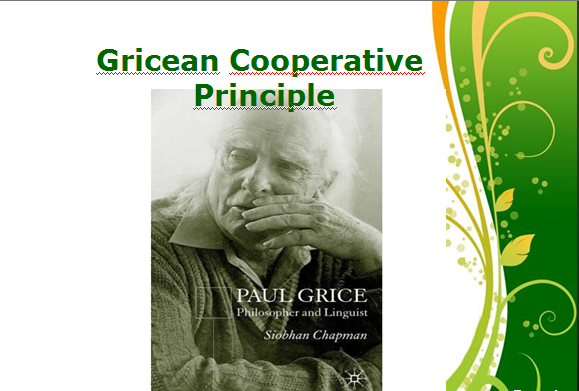 Grice had the idea that conversations are governed by a principle of cooperation. How nice! People try to make sense of other people’s utterances, even when it seems like it doesn’t make sense. Grice said that we are all involved in a big cooperative enterprise when we communicate. We try to make sense of what other people say, even when it seems difficult.